Home / Entertainment / Hugh Morris / Other / UK / Is a new concert hall for London really necessary? Is a new concert hall for London really necessary? 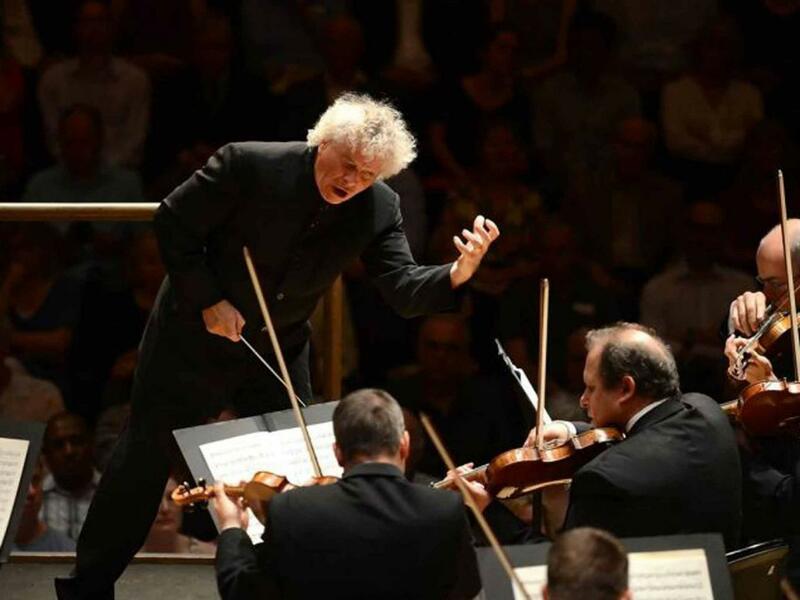 On September 2017, Sir Simon Rattle will embark upon the final leg of his illustrious career, taking the reins of the London Symphony Orchestra on a permanent basis, after a successful spell with the Berlin Philharmonic Orchestra. The appointment brought elation to LSO’s supporters, who felt that the standards of music making had slipped under the baton of previous conductor Valery Gergiev. Supporters hope that Rattle will bring the same kind of success back to the LSO that he delivered in his time in Berlin. Rattle’s appointment has, however, been tainted by his stated desire for a new concert hall for London, to newly accommodate the LSO, and to provide an acoustically grand space for the music making he wants to bring to the capital. The plans are centred around the Museum of London site near St Paul’s Cathedral, with the government-commissioned feasibility report stating the cost to be £278m, with £34m in modifications to the LSO’s current home, the Barbican Centre, only opened in 1982, pooling the total at over £300m. Private investment will cover £125m, but it remains that almost £200m will be coming out of taxpayers’ pockets. Arts funding from British governments is to be welcomed. At the 2015 General Election, only one political party, the Green Party, issued a specific manifesto spending commitment, to increasing arts’ funding by £500m a year, so many were relieved to welcome the November Spending Review, with George Osborne pledging ‘increases in cash’ to the depleted Arts Council of England. But, in times of cuts to local authority budgets across the UK, is a new concert hall in the capital really what is needed? £300m seems a substantial cost, given that the acoustically-renowned Sage Gateshead cost a quarter of this price. In real terms however, it seems that the figure is a drop in the ocean if excellence is what Rattle desires. Hamburg’s striking new Elbphilharmonie, an apparent competitor to the halls of Berlin and Leipzig, was initially estimated at a cost of €160m in 2006. The project is still incomplete, at an eye-watering cost of over €750m, and critics are left wondering whether it will ever become a concert hall. It would be a bold move to initialise a similar project that has the capacity to far beyond estimates. It seems ironic that, at a time when a new concert hall in the pipeline, Birmingham City Council has been forced into a 25% funding cut to the arts sector, in particular the CBSO and Birmingham Symphony Hall, both of whom Rattle has association with and has championed in the past (the Hall, incidentally, cost £30 million to build in the early 1990s). The case of Birmingham is repeated nationwide; tighter budgets mean councils are increasingly forced to ‘economise’ and ‘prioritise’, two words which usually spell trouble for the arts sector. Most worryingly of all, however, is that the need for a concert hall is built on a metropolitan paranoia that London doesn’t have a world class music making space. I’m sure that the Royal Albert Hall, the Barbican, Festival Hall, Cadogan Hall, Wigmore Hall and others would disagree, and, even if a new building would be more acoustically sound, it seems that we are prioritising the debated acoustic qualities of one London hall over the potential development of many venues in areas of the UK which could really benefit, or even prioritising over the education of the people who will fill these halls. Our current Education Minister has been famously critical of arts education altogether, saying in 2014 that for too long students had been pushed down the route of an arts based education, instead of choosing STEM subjects that ‘kept doors open for longer’. The Warwick University report into creativity and the arts meanwhile reported that arts were being ‘squeezed out’ of schools, and that there was a significant drop in state schools offering arts subjects taught by specialists. Simon Rattle has always been an advocate of music education, and the current project’s mission to ‘provide every child within the M25 at least one interaction with the Centre for Music’ is admirable, but diverting public money towards funding music education in schools nationwide is surely more advantageous than potentially squandering money on a scheme that, whilst helping Greater London, would contribute to a growing feeling that music possesses a London-centric attitude. The £1m feasibility report stated that the ‘proliferation of outstanding new 21st-century halls’ worldwide was ‘threatening the capital’s current pre-eminence in the music industry’. As is often the case, Britain again has to be seen to be doing something, because someone else is. Well, let’s. Let’s create a concrete fund for the arts in Britain, distributed fairly. Give the Barbican a facelift. And divert funds back into music education, away from the unnecessary towards the necessity.